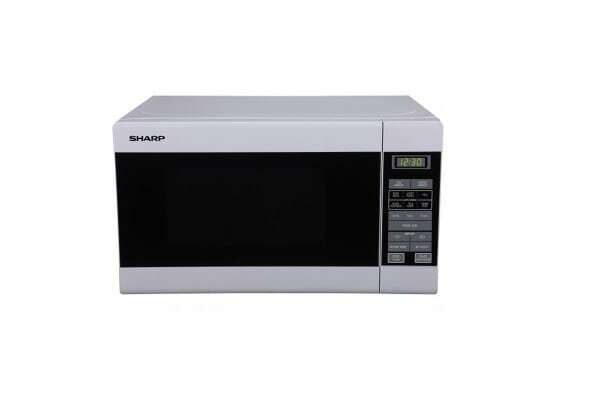 Save bench space with this compact microwave, offering all the cooking, defrosting and reheating power you need without the bulky frame. This great value microwave can easily take care of your every day cooking, as well as offering fantastic additional features to make your life easier! The Sequence Cooking function is perfect for when you need to defrost food and then cook it. You can pre-program both microwave powers and the cook times all at once, leaving the microwave to automatically switch from one stage to another. The Express Defrost function is also a godsend. The Sharp test kitchen has already determined the correct power level and the appropriate defrosting time for 500g of meat. With no need for guesswork, you can ensure your meat is thoroughly defrosted.